Have your feet been neglected for so long they’ve lost touch with the rest of your body? 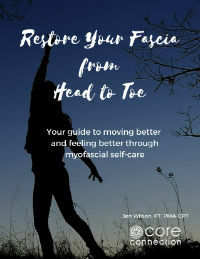 When the fascia and muscles in the feet become stiff, weak and less mobile, changes in walking patterns, balance problems, foot pain, back pain or other joint pain can arise – all of which can negatively impact your lifestyle. Changes like these happen mostly as a result of wearing shoes, not as a normal part of getting older. While tissue changes do naturally occur with aging, it’s the years of adaptation to wearing shoes that have a greater impact on tissue mobility and strength. Shoes create an environment for our feet where sensory input we typically receive from the ground is significantly dampened or inhibited. Shoes also prevent natural movement of the toes and the bones of the feet. Most of us have been wearing shoes since we started walking – that’s a lot of time for the feet to be in a sensory deprived, restricted condition. And if we start to experience pain or problems with our feet, we tend to rely on more supportive or cushioned shoes, which could actually be doing more harm in the long run because sensory input and mobility is further reduced. Relieving pain by changing shoes or using orthotic insoles should only be part of the rehab plan. These measures must be temporary! Just as you wouldn’t wear a splint on your wrist indefinitely following an injury, you don’t want to essentially do the same to your feet by restricting movement forever. When movement and sensation are limited through the feet (or in any other part of the body for that matter), joint stiffness, tissue rigidity and muscle atrophy occur. And although adopting a barefoot and minimalist shoe wearing lifestyle is the ideal solution for regaining and maintaining foot mobility and function, I know it’s not easy or practical for most. With that in mind, here are a few ways to wake up your feet without throwing out your favorite shoes. 1. Do go barefoot in the house and outdoors as much as possible. Walk in the grass, walk in the sand, walk on a rocky path (use caution here if you’re new to going barefoot, your feet are probably pretty tender from years spent in shoes). 2. Exercise your feet. The ‘short foot’ exercise is great for improving the long arch of the foot. 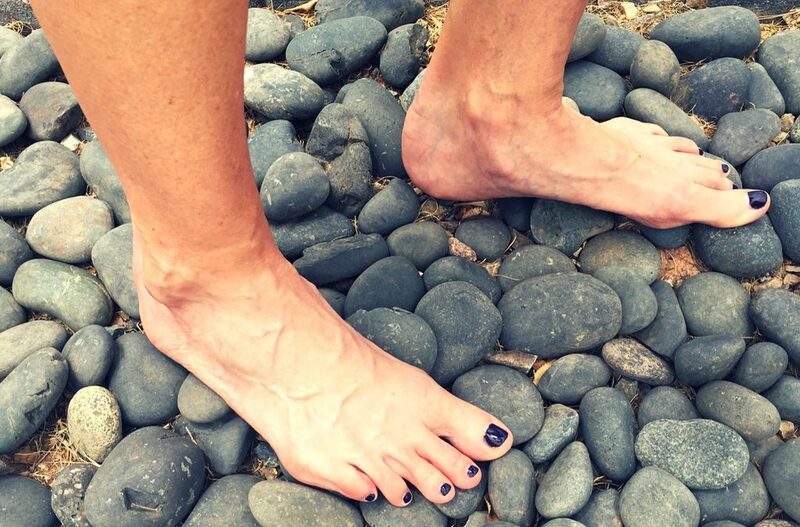 Try it standing barefoot and lifting your arch – bring the forefoot and heel together without curling the toes. Toe lifts and presses are also beneficial to maintain function and alignment necessary for natural walking patterns. Picking up marbles from the floor with your toes and dropping them in a bowl is a good way to improve dexterity. 3. Roll your feet on a small ball every day. Roll your foot back and forth, side to side and then gently press your foot down into the ball along the entire length of your sole. This will assist in preserving joint mobility, sensory feedback and supple fascial tissues. It’s important to know the feet have many more sensory receptors than most other regions of the body. This heightened sensation serves to protect us and help the body fine tune movement and posture when walking. So if you’re looking to improve overall movement efficiency and ease, start a daily practice of foot mobility and strengthening activities that’ll wake up your feet and keep your whole body in-tune. P.S. If you need a little more help finding the cause of pain or dysfunction, seek guidance from a healthcare practitioner that will assess how your entire body moves and then provide you with a plan for correction.